Retirement is a phase of life almost everyone looks forward to. It’s a time for seniors to relax, enjoy greater freedom, and explore opportunities they didn’t have time to look into when they were busy working and raising a family. Far too many older adults make the golden years more difficult than they should be. If your aging loved one is retiring soon or has recently done so, make sure he or she avoids the following mistakes. One of the biggest mistakes older adults make after they retire is underestimating how much money they’ll need in the future for food, housing, medical bills, and other necessities. Many seniors believe nothing bad is going to happen to them and don’t plan for medical expenses at all, or they assume their insurance plan will cover everything if a health issue arises. Others underestimate how long they’ll live. If your loved one isn’t sure how much he or she can safely spend each month, it may be time to talk to a financial planner who specializes in retirement. Many older adults face challenges such as a decrease in physical and mental health, making it difficult to do things independently. There are a variety of age-related health conditions that can make it more challenging for seniors to live independently. However, many of the challenges they face can be easier to manage if their families opt for professional home care. Huntsville families can rely on expertly trained caregivers to keep their loved ones safe and comfortable while aging in place. Your loved one has earned his or her retirement, and there’s nothing wrong with spending some money on something he or she has always wanted. However, too many seniors end up spending money on products and services they think they need but don’t, including insurance policies or certain types of investments they believe will earn them or their families a big reward. Many scammers prey on older adults who are seeking investors. If your loved one is making an investment or taking out a new insurance policy, it’s best to do as much research as possible before handing over any cash. Some people aren’t happy unless they’re busy working, volunteering, or socializing, while others are perfectly content to sit back and read or go fishing or golfing all day. Your loved one should spend the retirement years doing things he or she finds fulfilling, not trying to live up to society’s idea of what retirement should be about. The activities your loved one chooses should match his or her personalities and desires, whether it’s finding a part-time job, traveling, or just spending the days hanging out around the house. Being a family caregiver requires assisting your loved one with a wide range of activities and tasks. Families who find it difficult to care for their aging loved ones without assistance can benefit greatly from professional respite care. Huntsville, AL, family caregivers who need a break from their caregiving duties can turn to Home Care Assistance. Using our proprietary Balanced Care Method, our respite caregivers can encourage your loved one to eat well, exercise regularly, get plenty of mental and social stimulation, and focus on other lifestyle factors that promote longevity. There’s no need to rush into post-retirement plans. Far too many seniors make plans for how they’ll spend their time while they’re still working, and when the day comes to pursue those plans, they find they’re unhappy or the plans don’t live up to their expectations. Once your loved one retires, he or she should take some time to explore various options and avoid major commitments right away. The great thing about retirement is that there’s no limit on exploring new opportunities. It’s only natural for your loved one to want to help his or her children and grandchildren with their financial needs. However, unless your loved one is wealthy, he or she should slow down when it comes to family handouts, especially if those handouts aren’t considered a loan. 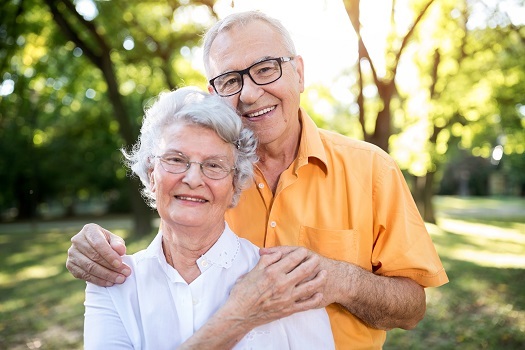 Your loved one has no idea how long he or she will live, what type of medical issues may arise, or what type of care might be needed later in life. Encourage your loved one to leave money to family members in his or her will instead. Retired seniors who prefer to remain in the comfort of home can benefit in a variety of ways from the assistance of a professional caregiver. If your elderly loved one needs help maintaining a high quality of life while aging in place, reach out to Home Care Assistance, a trusted provider of Huntsville elderly care. Our caregivers provide transportation to and from medical appointments and social events, nutritious meal preparation, assistance with daily exercise, and help with everyday tasks like bathing, grooming, and light housekeeping. To learn more about our premier elderly care plans, call (256) 716-9940 today.